Cooch Behar or Koch Bihar is a city and a municipality in the Indian state of West Bengal. It is the headquarters of the Cooch Behar district. It is in the foothills of the Eastern Himalayas at 26°22′N 89°29′E. Cooch Behar is the only planned city in North Bengal region with remnants of royal heritage. 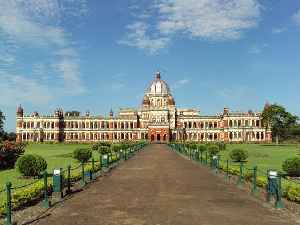 One of the main tourist destinations in West Bengal, it is the location of the Cooch Behar Palace and Madan Mohan Temple and has been declared a heritage city. It is the maternal home of Maharani Gayatri Devi. First LS vote after getting India citizenship, but..